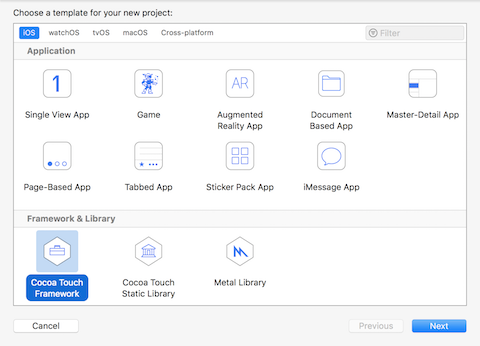 Update note: Keegan Rush updated this tutorial for Xcode 10.0, Swift 4.2, and CocoaPods 1.5.3. Joshua Greene wrote the original. You’re probably familiar with some well-known, open-source CocoaPods dependencies like Alamofire or MBProgressHUD. But sometimes you can’t find a pod with the exact functionality you need, or you may want to separate a large project into smaller, reusable components. How to create a CocoaPod to host shared, reusable code. How to use CocoaPods with either frameworks or static libraries. How to publish your new CocoaPod to your own spec repository. If you’ve already created a Cocoa Touch framework for your component, you’ve done most of the hard work. If you haven’t, don’t panic, as it’s really straightforward. If you’ve only ever created classes as part of an iOS app, that’s OK, too. You can easily create a new pod by pulling out classes and functionality that make sense for your particular use case. This tutorial picks up where How to Use CocoaPods With Swift ends. If you’ve never used CocoaPods before, then that tutorial is definitely a prerequisite to this one. Otherwise, grab yourself a hot cup of “cocoa” (sorry, couldn’t resist!) and read on! Note: This instructions and sample code in this tutorial require you to make Xcode 10 your default Xcode. To determine which Xcode is your default, enter xcode-select -p in a Terminal window. If your version is Xcode 9 or earlier, use the command sudo xcode-select -s path-to-Xcode-10 to change it. Your top client is Ice Cream Shop, Inc. Its ice cream is so popular it can’t keep up with customer orders at the counter. It has recruited you to create a sleek iOS app that will allow customers to order ice cream right from their phones. You’ve started developing the app, and it’s coming along well. Download the starter project using the Download Materials button at the top or bottom of this tutorial. This is an updated version of the final project from How to Use CocoaPods With Swift. The app has a few pod dependencies already included in the download, so you don’t need to run pod install to install them. Note: If you worked through How to Use CocoaPods With Swift, this next section may seem familiar; it’s simply a review of that tutorial. Feel free to skip ahead as needed. 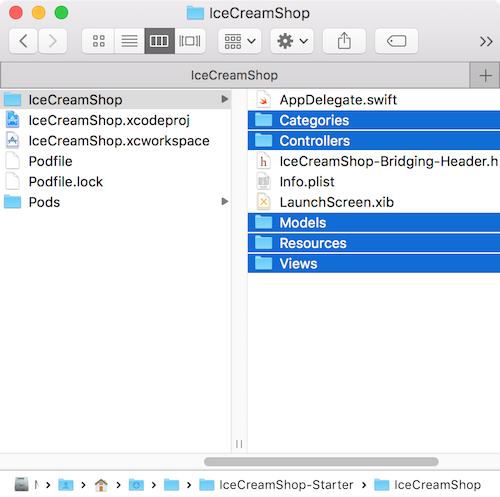 Open IceCreamShop.xcworkspace and then Main.storyboard, found in the Views group, to see how the app is laid out. 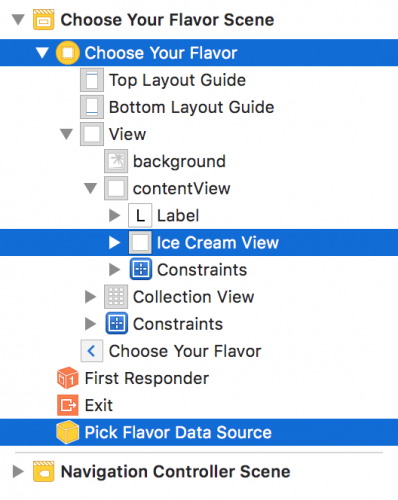 PickFlavorViewController: Handles user interaction, such as when the user selects an ice cream flavor. PickFlavorDataSource: Is the data source for the collection view that displays ice cream flavors. 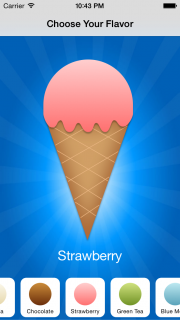 IceCreamView: Is a custom view that displays an ice cream cone and is backed by a Flavor model. 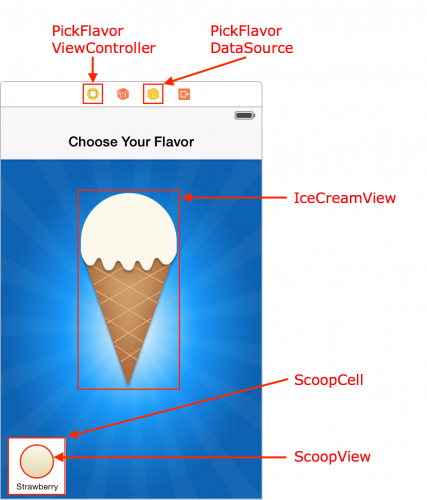 ScoopCell: Is a custom collection view cell that contains a ScoopView, which is also backed by an instance of the Flavor model class. The top managers at Ice Cream Shop, Inc. really like how the app is coming along, but they’ve added a new requirement: Ice cream retailers need to have the same choose-your-own-flavor functionality in their apps. Wait, that wasn’t in the original design. But that should be no problem for a Swift ninja like you! Can you guess how you’re going to do this? Yep, you’re going to pull this functionality into its own CocoaPod! Enter RWPickFlavor for the product name and Swift for the language. Click Next. For the purposes of this tutorial, you’ll create the project in ~/Documents/Libraries. Choose the Documents folder in your home directory. If you don’t already have a Libraries folder, click on the New Folder button in the bottom and create it. Finally, choose the Libraries folder and click Create. Note: The directory where you save your development pods is important because you’ll need to reference this directory from your Podfile during local development. It uses the local files on your machine for the pod, instead of fetching them from a remote repository. When you’re using a pod, you normally shouldn’t make changes to any of the pod’s classes because these will be overwritten the next time you run pod install. By using the :path => syntax, your local path is treated as the source for the CocoaPod, and any changes you make will change the files in this location. So your changes will still exist even when you run pod install again. While you can use a different location for your development pods, in general, put them in ~/Documents/Libraries. This is also a good location if you work with a team of developers since CocoaPods knows to expand the tilde as the user’s home directory. You can also use other CocoaPods as dependencies of your pod. To do so, you need to create a Podfile for your CocoaPod to specify them during development. This creates a new Podfile and opens it in Xcode. This declares that RWPickFlavor will have external dependencies on both Alamofire and MBProgressHUD. Prior to CocoaPods 1.5.0, CocoaPods did not work with static libraries. If you depended on a pod that contains Swift, you had to integrate CocoaPods into your project via frameworks instead of static libraries by specifying use_frameworks! in your Podfile. This is no longer the case. As of CocoaPods 1.5.0, you can use CocoaPods with static libraries! This is a big deal, since not all libraries you might depend on are shipped as frameworks. Dynamic frameworks also come with a launch-time performance impact that some apps need to avoid. By omitting use_frameworks! from your Podfile, CocoaPods will integrate into your app using static libraries instead. Your Objective-C dependencies still need to work as a module, however. MBProgressHUD is an Objective-C dependency that does not support modules. Luckily, by adding :modular_headers => true to the MBProgressHUD dependency in the Podfile, CocoaPods adds module support for us. Just as you’d expect, this creates a workspace and installs the various requisite files. Next, back in the IceCreamShop workspace, open Info.plist, found under the Supporting Files group, and delete the line for Main storyboard file base name. Are you wondering why you didn’t delete the Resources group? It contains the Images.xcassets asset catalog, which has the app icon and launch screen logo that you need. It doesn’t need the background image anymore, because that belongs in the RWPickFlavor pod. You can delete background from the IceCreamShop asset catalog. Because you copied this storyboard from a different project, you need to ensure that the module for each of these items is correctly set to your new CocoaPod, RWPickFlavor. Oftentimes, simply opening up the storyboard is enough to update it from its old module to the new one. Note: Make sure to save your changes to the storyboard file with Command-S, or it’ll still be set to the old module. Now, back to IceCreamShop.xcworkspace. Build and run. You shouldn’t see any errors, and you’ll eventually see the “Ice Cream Shop” logo followed by a black screen. Believe it or not, the hardest part of creating your pod is done! Since CocoaPods is bootstrapped on top of Git, each pod will need to have its own Git repository. 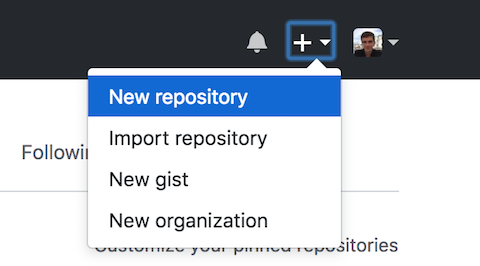 If you already have a preferred Git host, great — you can use it to host your repository. If you don’t, GitHub is an excellent choice as it’s well-known by developers and has a free plan for open-source projects. Bitbucket is another great option as it has a free unlimited tier, including private repositories, for teams of up to five developers. This tutorial uses GitHub, but feel free to use your preferred Git host instead. First, Sign up or Login to your GitHub account. 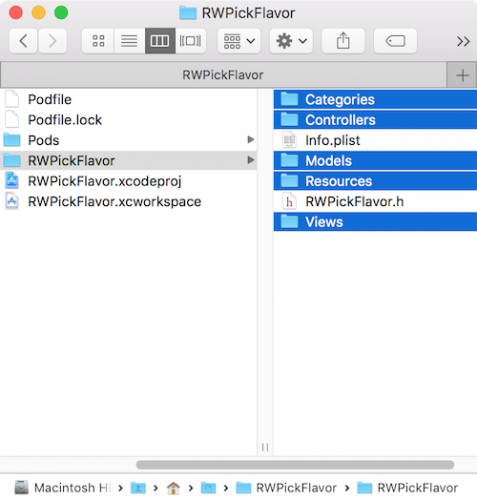 Enter RWPickFlavor for the Repository name, and select Create repository. You’ll need this URL in just a moment, so leave the page open for now. Now you need a second repository to host all of your private pod specs — you’ll use this later on in the tutorial. Open github.com in a new tab; again, press the Create new icon and select New repository. Name this repository RWPodSpecs, and select Create repository. Leave this tab open as well so you can easily grab the URL later when you need it. Without a Podspec, RWPickFlavor is nothing more than a bunch of files. The Podspec is what defines an actual CocoaPod. The Podspec includes basic information such as the pod’s name, version and Git download URL. This creates RWPickFlavor.podspec and opens it in Xcode. There’s a lot of excellent documentation and examples in the default Podspec. However, you don’t need most of it. s.summary = "RWPickFlavor lets a user select an ice cream flavor." # 6 - Replace this URL with your own Git URL from "Quick Setup"
Just like a Podfile, the Podspec is written in Ruby. Be extra careful not to make any typos or else the pod will likely fail to validate or install later. You first specify basic information about the pod. 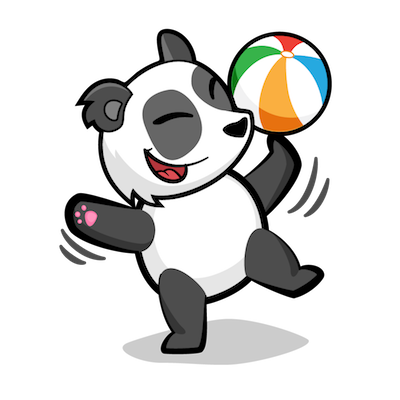 A Podspec is essentially a snapshot in time of your CocoaPod as denoted by a version number. When you update a pod, you’ll also need to update the Podspec’s version. 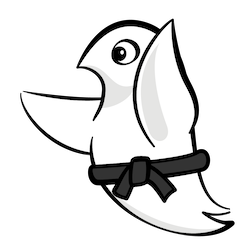 All CocoaPods are highly encouraged to follow Semantic Versioning. 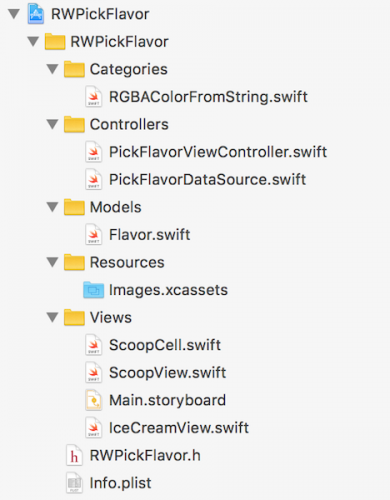 If you’re not familiar with Semantic Versioning, see How to Use CocoaPods with Swift for more information. All pods must specify a license. If you don’t, CocoaPods will present a warning when you try to install the pod, and you won’t be able to upload it to CocoaPods trunk — the master specs repo. Here, you specify information about yourself, the pod author. Enter your name and email address instead of the placeholder text. Here, you need to specify the URL for your pod’s homepage. It’s OK to simply copy and paste the GitHub homepage from your browser’s address bar to use here. Replace this URL with the Git download URL from the “Quick Setup” section of the first repo you created above. In general, it’s best to use either a http: or https: URL to make it easier for other users to consume. You can use an SSH URL if you want, but you’ll need to make sure that everyone on your team — and whoever else needs access to the CocoaPod — already has their public/private key pairs set up with your Git host. Here, you specify the framework and any pod dependencies. CocoaPods will make sure that these dependencies are installed and usable by your app. Not all files in your repository will be installed when someone installs your pod. Here, you specify the public source files based on file extensions; in this case, you specify .swift as the extension. Here, you specify the resources based on their file extensions. Finally, specify 4.2 as the version of Swift used in the pod. Some of the information you entered is important for CocoaPods to know how to download and install your pod correctly. Other information, such as the license, summary and author information, are there to help users to learn about your pod, if you choose to make it public in the CocoaPods Master Specs Repo. Like every other pod, you’ll need to create the LICENSE file. Copy and paste the MIT License found here into your favorite text editor, and then save the file as LICENSE — with no extension — in ~/Documents/Libraries/RWPickFlavor. Make sure to replace [year] and [fullname] with the actual values — the year and your actual name, of course! Choose a License is a really great site that helps you choose the most appropriate open-source license for your project, and it’s built and maintained by the good folks at GitHub. You’re finally ready to push the RWPickFlavor pod to its new home on GitHub! If prompted, enter your username and password for GitHub. This commits all of the files within the RWPickFlavor directory, creates a new 0.1.0 tag and pushes everything to your remote repository. Congratulations, you’ve just created your first CocoaPod! You’ve created your first CocoaPod, but can you actually use it? Well, not quite yet. You first need to add your Podspec to a private specs repo; this lets CocoaPods find the pod when you try to install it. Fortunately, you’ve already created a Git repo for this, so this final step is relatively straightforward. Make sure to replace [Your RWPodSpecs Git URL] with the Git URL for RWPodSpecs repo you created earlier. 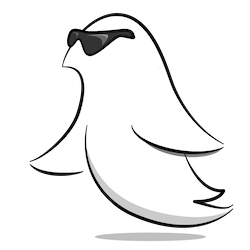 This creates a local reference to RWPodSpecs that’s stored in ~/.cocoapods on your machine, and pushes the RWPickFlavor.podspec to it. You now have a private pod specs repo set up! Easier than you thought, right? With that complete, it’s finally time to use your newly created pod. Make sure that you replace [Your RWPodSpecs Git URL Goes Here] with the Git URL for your RWPodSpecs repo. 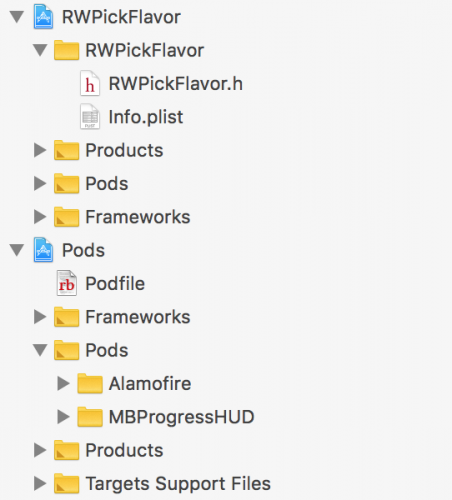 You don’t need to include Alamofire in the Podfile, because it’ll be pulled in as a dependency defined in RWPickFlavor.podspec. You still need a line for MBProgressHUD so that you can include the :modular_headers => true configuration. Close IceCreamShop.xcworkspace. Then, run pod install in Terminal. 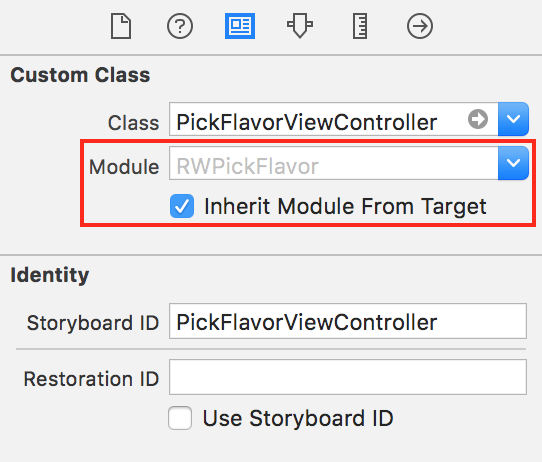 In createRootViewController, you get a reference to the RWPickFlavor “bundle” — which is actually a dynamic framework — to create a reference to the Main storyboard and instantiate its root view controller. Build and run. You’ll be greeted with the familiar “Choose Your Flavor” screen. Awesome! If you want to download the finished project, use the Download Materials button at the top or bottom of this tutorial. You’re now ready to start making your own CocoaPods! However, what you’ve covered in this tutorial is really just the tip of the iceberg when it comes to CocoaPods. Check out the CocoaPods Guides to learn everything you need to know about creating CocoaPods. After creating a CocoaPod, you might consider adding it to the CocoaPods Master Specs Repo so that it will be made available via CocoaPods.org to thousands of developers around the world. Refer to the CocoaPods Trunk blog post to find out how you can do this! If you have any questions or comments about the tutorial, feel free to join the discussion in the comments below!